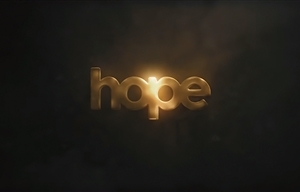 Hope is a South African telenovela created by Herbert Hadebe and set mainly in Joburg's inner city, which centres around the life of Pastor Zakes Buthelezi – a meek pastor whose faith and integrity are put to the test when all he has built throughout his life starts to crumble around him. The series follows him as he deals with an emotionally unfaithful wife, a son who has doubts about following in his father's footsteps to become a Pastor, and a teenage daughter whose drinking and partying lifestyle has everyone worried. As the story unfolds, the show introduces a cast of characters who are not what they seem. Hope is executive produced by Herbert Hadebe and Thandi Ramathesela. The head writer is Busisiwe Ntintili, with a writing team that includes Bakang Sebatjane, Salah Sabiti, Martin le Maitre, Tshenolo Mabale, Paul Crilley, Keith Moyo, Tshepiso wa ha Mahlatsi, Tshego Monaisa, Wilson Shaddai and Tiisetso Tlelima. Directors on the series include Herbert Hadebe, Beautie Masvaure Alt, Mmabatho Montsho, PJ Mashokolo and Zuku Nodada. The title sequence music is by Abe Sibiya. A blindness plague breaks out in the congregation!